Wexford Artists Community Theatre (WACT) is a not-for-profit youth theatre in County Wexford providing affordable, exciting, youth-inspired theatre workshops for young people interested in drama. In New Ross WACT operate out of St. Michael’s Theatre on Thursdays during school term. Our fees reflect our not-for-profit ethos. Our Junior actors workshops for 5-12yr olds are from 3pm to 4pm every Thursday and our senior Wactors aged 13-18yrs come to their workshop from 4pm to 6pm. 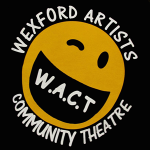 Wexford Artists Community Theatre is dedicated to developing life skills in young people through affordable theatre experiences that educate, entertain and enrich the lives of our young members. 1 To provide professional relevant weekly workshops on the art of theatre. 2 To increase members confidence, self expression and acting skills. 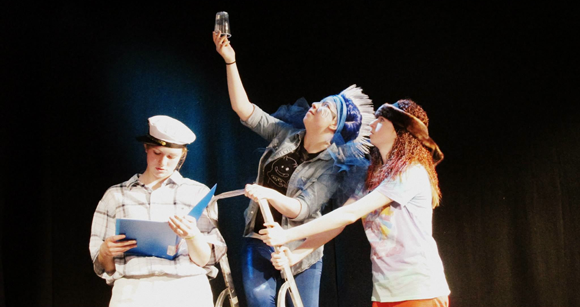 3 To run one innovative production per year ideally based on theatre devised by the young people. WACT are proudly affiliated to NAYD which offers wonderful theatre opportunities to our young members. To date our members have taken part in fully funded professional writers workshops, summer camps, National Youth Teatre events, initiatives such as Speak our Language theatre workshops where our young people improvise theatre through Gaeilge nd young critics programmes. See NAYD.ie for more information. County Wexford Youth Film Project is based in St. Michael’s Theatre, New Ross. The project trains young people aged 13 – 20 in the art of filmmaking and provides them with an opportunity for creative expression through an accessible and exciting medium. All of the films produced are either written or devised by the participants, and reflect themes and issues relevant to the young peoples’ lives. The project was initiated during 2005 as a partnership initiative between The Arts Department of Wexford County Council, The Arts Council and St. Michael’s Theatre. Filmmaker Therese Dalton currently directs the programme. To date over 400 young people throughout the county have participated in County Wexford Youth Film Project. In addition to the programme based in St. Michael’s Theatre, the project also works in partnership with various communities throughout the county in facilitating outreach film projects for young people. These communities include Cottage Autism Network, Gorey Youth Needs, Ramsgrange C.D.P., Treoin Youth Diversion Programme, As We Are, Wexford Area Partnership [Bunclody], Ballymurn and Campile. The project has also received funding through The Arts Council’s Young Ensembles Scheme for integrated youth film projects. In 2009 an outreach project involved young people from the Traveller and settled communities working together to create a film over a three-month period. A filmmaking project based in Wexford Town in 2011 integrated young people from special schools and mainstream education, and a 2012 Young Ensembles Scheme funded project involved teenagers from rural and urban backgrounds making films together on a working farm. The youth film project also coordinates Wexford Widescreen Youth Film Festival in St. Michael’s Theatre each year. The films made by the project throughout the year receive a gala premiere as part of the festival. In addition to the film screenings, the young people are presented with DVDs and certificates of participation. Wexford Widescreen also highlights the filmmaking talent in the county by providing a showcase for young people who are making films on their own, or through school and youth groups. The films produced during the project are also submitted to national and international youth film festivals and have won several awards.